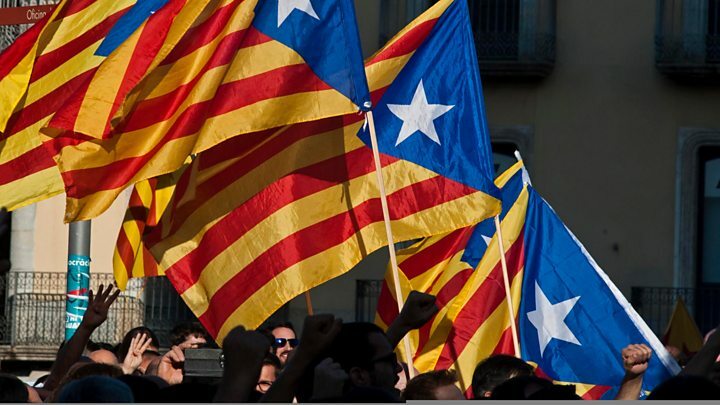 Catalonia will declare independence from Spain in a matter of days, the leader of the autonomous region has told the BBC. In his first interview since a disputed vote on Sunday, Carles Puigdemont said his government would "act at the end of this week or the beginning of next". 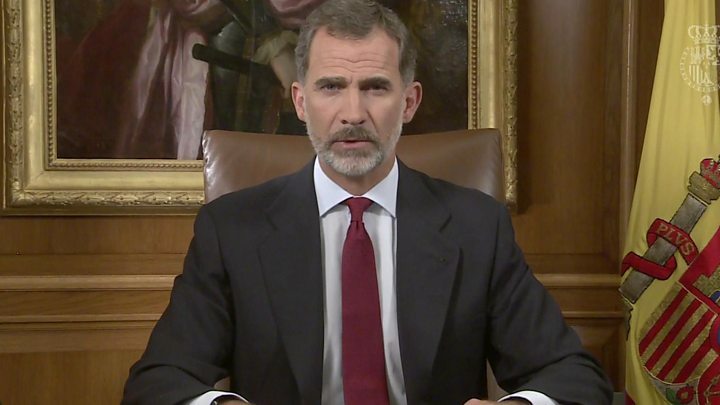 Meanwhile, Spain's King Felipe VI said the vote's organisers had put themselves "outside the law". He said the situation in Spain was "extremely serious", calling for unity. Tensions between Spain and the north-eastern Catalonia region continue to mount, days after the vote was marred by violence involving national police. The Spanish High Court said it had begun an investigation into key Catalan figures on Wednesday on suspicion of sedition - inciting rebellion against the state - including the head of Catalonia's regional police. Josep Lluis Trapero, who leads the Mossos d'Esquadra force, is suspected of failing to control a demonstration during a police raid on Catalan government offices before the vote. What did Catalan leader say? 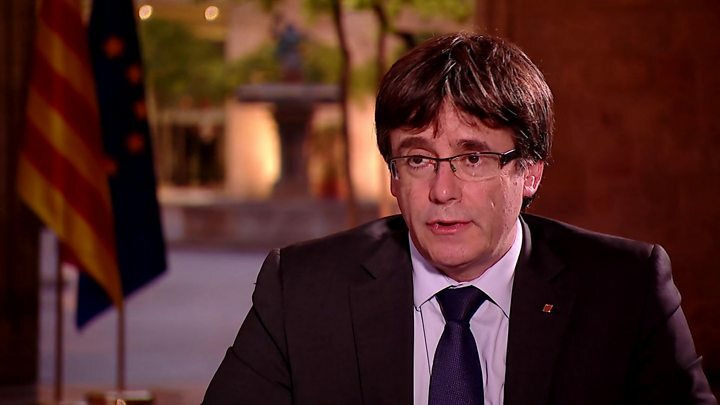 In his BBC interview, Carles Puigdemont said his government would "act at the end of this week or the beginning of next". He also revealed there was currently no contact between the government in Madrid and his devolved administration. When asked what he would do if the Spanish government were to intervene and take control of Catalonia's government, Mr Puigdemont said it would be "an error which changes everything". Under Article 155 of the Spanish constitution, the government in Madrid is permitted to impose direct rule on an autonomous regions. Groups in the Catalan parliament have agreed that parliament should meet in full assembly on Monday. Mr Puigdemont could use that occasion to make a unilateral declaration of independence. He was due to make a statement at 21:00 (19:00GMT) on Wednesday. The Spanish government has vowed to resist any declaration of independence, with Spanish Prime Minister Mariano Rajoy saying the vote made a "mockery" of democracy. Barcelona Mayor Ada Colau has called on both sides to talk. "Neither a declaration of independence nor article 155. More than ever we need dialogue and bridges," she tweeted. The European parliament was due to debate the crisis on Wednesday afternoon. Many Catalans have been angered by the European Commission's statement on Monday that events in Catalonia were an internal issue for Spain. Why is king's intervention significant? Media captionKing Felipe VI: "Catalan society is fractured"
In his televised address, King Felipe said the Catalan leaders who organised the referendum showed their "disrespect to the powers of the state". "They have broken the democratic principles of the rule of law," he said. 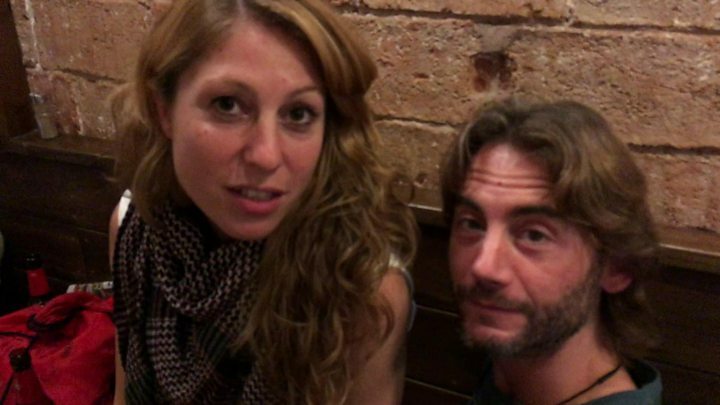 But many Catalans were more concerned about what the king did not say, reports the BBC's Patrick Jackson, who watched the address in a bar in Barcelona city centre. "There were no words about the scenes of police beating voters on Sunday, no urgent appeal for dialogue between the Spanish and Catalan governments, no acknowledgment of the real hunger here for independence or at least a proper, legal referendum, not even a word or two of Catalan," he says. It was a missed opportunity to push the two sides towards dialogue, said one customer in the bar. Q&A: Do Catalans really want independence? What happened during Sunday's vote? 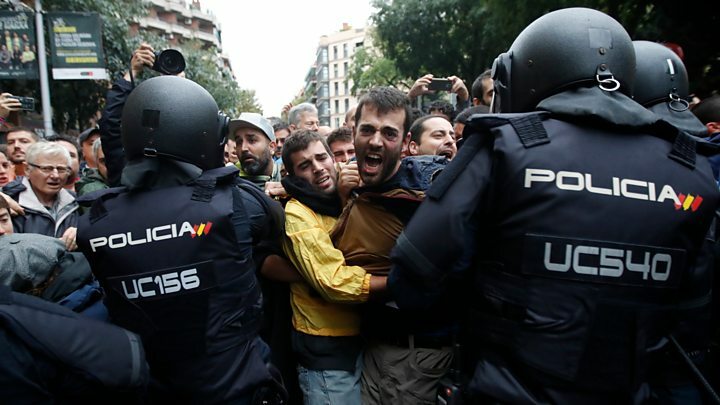 Nearly 900 people were hurt as police violently tried to enforce a Spanish court order suspending the vote, which the government had declared illegal. Some police officers were seen firing rubber bullets, storming into polling stations and pulling women by their hair. Thirty-three police officers were also injured, local medical officials said. Shocked by what they had seen, hundreds of thousands of Catalans joined street protests on Tuesday. A general strike was also called in protest at "the grave violation of rights and freedoms" seen during the ballot. What about the ballot results? More than 2.2 million people voted on Sunday, according to the Catalan government. Officials put the vote in support of independence at nearly 90%, but official results have not yet been released. There are several reports of gaping irregularities, partly attributed to a system which permitted voters to cast their ballots anywhere in a bid to get around the police measures to stop the vote. Spanish media carried reports of some Catalan areas counting far more votes than residents. Catalan officials said the turnout was 42%, potentially weakening the position of Mr Puigdemont. Catalan referendum: Who will move next in Spain's crisis?